I have always believed that the order and complexity of the natural world is a consequence of design, and it could not have developed of its own accord from a primeval chaos, purely as a matter of chance. My school books used to fall apart as I carried them around in my bag, my bike would get rusty and fall apart, and so on. We see disintegration all around us, but we are expected to believe that successive generations of living creatures get better and better as a consequence of natural selection, which itself depends on mutations which occur at random and are generally destructive. All of this has been discussed in detail, in many books on Creation Science, but in a world where we have come to depend on science for almost everything, it is easy to forget the obvious, that we have to find out about the past, not from science, but from history. While reading through a number of creationist books, I came across one that was different from all the others. It was Bill Cooper's "After the Flood". It showed that there are historical records, from the secular world, that point to our descent from Noah and his family. These records were not made up by medieval monks, but were available independently and told a story that is remarkably similar to the early chapters of the Bible. This is exactly what we would expect to find, if there really was a world-wide flood. Many nations should remember it from their own history, and indeed they do. Some nations, for example the Babylonians, have a straightforward narrative of the flood, while others, for example the Greeks, have reduced it to various forms of mythology. In addition to the flood stories, there are stories of creation and the fall, written by people who had never seen a Bible. 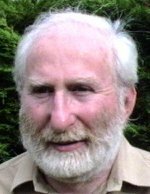 I have found this to be a fascinating subject, and as I looked at some of the books that Bill Cooper had referenced as his source material, I found that they in turn referred to other sources, and it was possible to work backwards and find out what people were thinking before the history books became sanitised as a consequence of Darwinian evolution. Before the time of Darwin, people used to believe that creation, the fall and the flood were historical facts, not just because the Bible says so, but because all sorts of other books said so, that didn't depend on the Bible. As I researched this subject, I found that I had accumulated so much material, that it had to be written down, otherwise it would disappear again into obscurity. 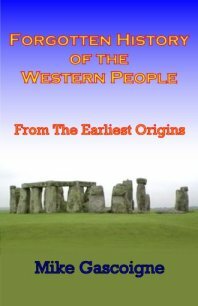 So I wrote my first book, "Forgotten History of the Western People: From the Earliest Origins". This was written for a general audience, to appeal to anyone who was interested in ancient history. It contains some quotes from the Bible, for the purpose of comparing it with other histories, but not to the extent that it becomes a Christian book. This is a book that you could easily give to any of your friends, and they will not be made to feel that you are trying to convert them to something. The people who took the most interest were Christians of a young-earth creationist persuasion, but among Christians as a whole there was uncertainty. Even among the most staunch evangelicals, there were people who believed in evolution, because they thought that science says so, and I began to feel that there was a need for another book. 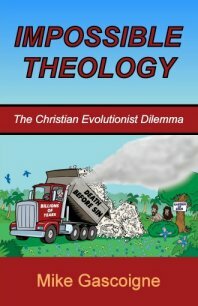 So I wrote my second book "Impossible Theology: The Christian Evolutionist Dilemma". This shows how established Biblical theology falls apart if there were millions of years of death and destruction before the fall. The Bible tells us that death is a consequence of sin (Rom. 6:23), and if there is no relationship between sin and death, then the means of salvation is invalidated. If death is just a normal part of our existence, then the crucifixion and resurrection of Jesus would have no purpose, and we would not expect to rise from the dead ourselves. 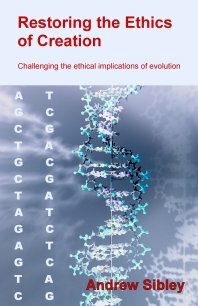 However, the book does not leave us in a dilemma, because the theological arguments are followed by scientific appendices showing that evolution could not have happened. In these two books I have brought together science, history and theology, using material from many sources that are listed in the Bibliographies. I hope this will open up an area of study for many people, and we will recover some of the ancient knowledge that was in the possession of our ancestors. This site contains a wide range of material on Biblical and Historical topics. Use the search field to find what you want. MG Personal Training. Get fit and lose weight. Support 4 the Family. Unofficial group within UKIP. UKIP Aldershot Constituency. My local UKIP group. Join our mailing list for news and updates about Creation History and Theology.